For almost 20 years, Project Linus has been bringing comfort and security to seriously ill and traumatized children through the gifts of new handmade blankets. Over 5 million blankets have been donated to children in need. We are a volunteer non-profit organization with a two-fold mission. First, it is our mission to provide love, a sense of security, warmth and comfort to children who are seriously ill, traumatized, or otherwise in need through the gifts of new handmade blankets and afghans, lovingly created by volunteer "blanketeers". Somerset County, NJ Project Linus Chapter is looking for volunteers or as we like to call them, "blanketeers" to create handmade blankets either by crochet, no sew fleece, knit, or quilting. We are also more than happy to accept 12" knitted and crocheted squares which can be sewn together to create needed blankets. The material needs to be washable. 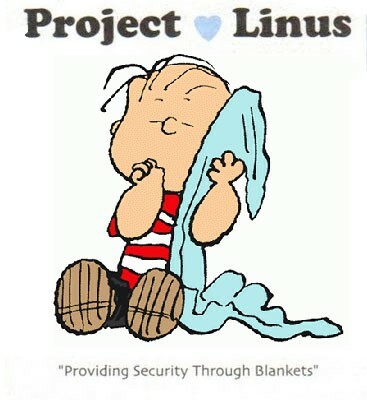 If you are creating a blanket, there are special Project Linus tags that can be added to the end of your creation. The Yarn Attic is accepting blankets and squares for Project Linus. When dropping off your donations, please include your name and address. If you have any questions, would like to be a blanketeer, or would like to donate materials, please feel free to contact the Somerset County Chapter Coordinator.